I don’t know why, but the texture of this really surprised me – in a really positive way. Because it’s a sample it didn’t have the full name on the product, just the shade name ‘orchid dream’, so I didn’t realise it was a gloss and assumed it was just a lipstick. But on slicking it on to my lips it felt absolutely divine! So glossy and lightweight, I love it. It almost felt like I was just wearing balm, not at all sticky but looks super glossy. 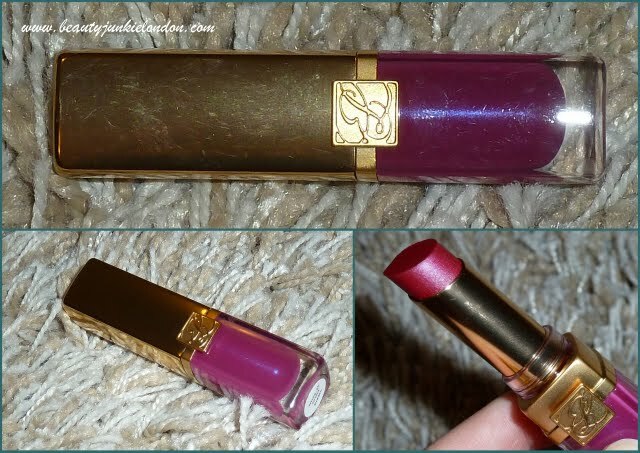 It’s fab – especially for people like me who aren’t really lippie wearers. I also adore the colour – I think hot pink is one of those colours that looks so fresh on all skin tones and can really brighten the face. 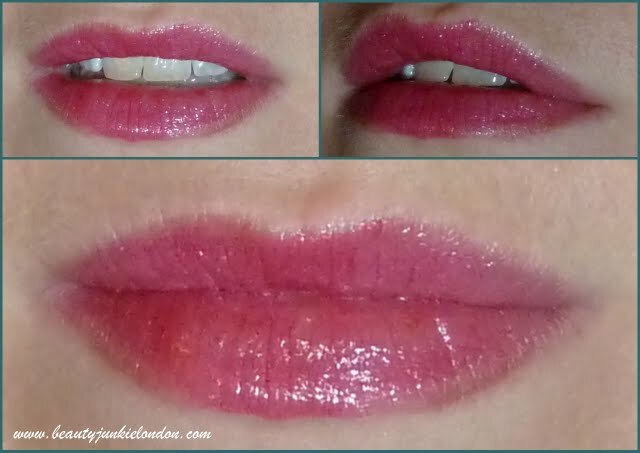 I plan to spend much of 2011 wearing brighter lips. Ooh lovely. I love a pop of colour like that for brightening up the face. It is a very nice color!